Chicago —(ENEWSPF)—January 22, 2016. 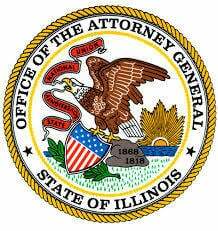 Attorney General Lisa Madigan yesterday announced the indictment of a Willowbrook tobacco store manager for allegedly defrauding the state out of more than $200,000 by underreporting nearly $3 million in sales. “We will continue to make sure that individuals who violate state tax laws are held accountable,” said Madigan. Dahleh’s bond was set at $200,000. The case was investigated by IDOR’s Criminal Investigations Division. Assistant Attorney General Victor Turla is handling the cases for Madigan’s Special Prosecutions Bureau.